In just a couple of months, summer in Miami will be in full swing. Even though it is hot, there is always so much to do. From festivals to baseball to neighborhood activities, no one ever says that they are bored when living in Miami. Here are just a few of our favorite things to do. Outdoor Theatres. There are several outdoor spots in Miami that feature movies after dark. At night when the Miami sun goes down and the bay breezes kick in, there is nothing like heading over to one of the venues that have set up an outdoor movie theatre to set up beach chairs, blankets, and picnics for an evening of family fun. Most people who attend these events come early and throw Frisbees or kick the soccer ball until it is time to settle in for a good movie (sometimes even first run movies). Some of the venues even offer earlier shows for kids then feature more “grown up” movies. Some of the more popular spots to attend an outdoor movie are Biscayne Park, South Pointe Park in Miami Beach, and other spots throughout Miami-Dade County. The best part about attending outdoor movies is that if there is a fee, it is typically nominal just to cover the expenses of showing the movie. Miami Seaquarium. Probably the only cooler thing than the aquarium itself is its location on Virginia Key in the middle of Biscayne Bay. 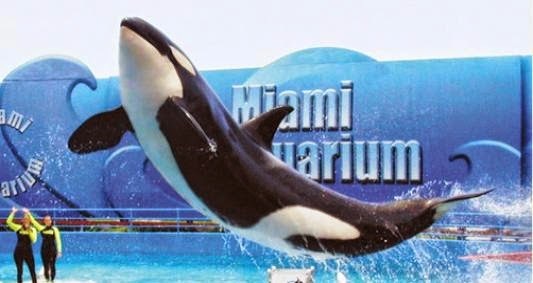 The Miami Seaquarium is open year-round and offers shows and exhibits with much of the sea life in the waters surrounding Miami and Miami Beach including dolphins, whales, sea turtles, manatees and other creatures. As the oldest oceanarium in the US, this is a fun place to take family and friends who visit during the summer. We suggest that you check out the Miami Seaquarium website before you make plans as the shows frequently change and new exhibits come throughout the year. Head to the Beaches. Yes, summer in Miami is hot but there is no better place to enjoy the sunshine than one of Miami’s area beaches. A great place to spend the afternoon is on the Virginia Key Beach (go after you have been to the Miami Seaquarium). It is such a great place to swim and enjoy the afternoon, take your dog out to run along the water and fetch balls or simply take a little while to walk along the surf. Another area beach that offers plenty of space to spend the day is Bill Baggs Cape Florida State Park located at the south end of Key Biscayne. 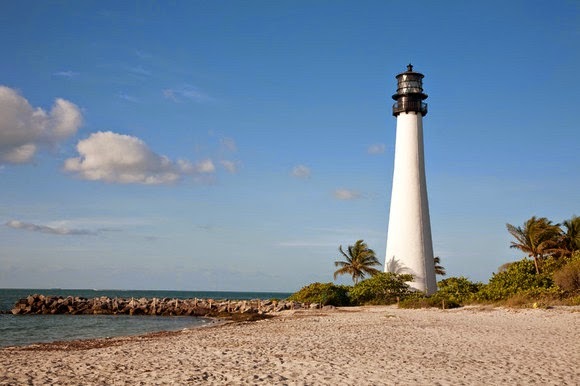 This is the perfect place for swimming, fishing along the seawall, climbing the Cape Florida Lighthouse and ending the day at the restaurant, Boater’s Grill. And, of course, if you want to enjoy the Miami sunshine in full fashion, head over to South Beach. Not only is it interesting on its own, you have all of the South Beach excitement and action at your fingertips. South Beach. While on the subject of South Beach, this part of Miami offers so much to do all year long. Here you have some of the best shopping, dining, nightlife and, of course, people watching in all of Florida. On top of that the beach is amazing. The atmosphere, along with the unique architectural designs, is why so many people choose to live in South Beach – there is nothing like having white sugary sand and crystal blue water practically at your doorstep while being able to have everything in South Beach within arm's reach. Dine Out. When we say “dine out,” we mean eat outside. Evenings in Miami are most always balmy and most area restaurants take advantage of the breezes by offering outdoor seating. From the restaurants and cafes on Lincoln Road in South Beach to the newly opened and relocated spots in the Design District to our favorites in Brickell, there are so many options that you can literally not eat at the same place twice all summer long. Some even look at it as a challenge and a great way to discover new favorites. 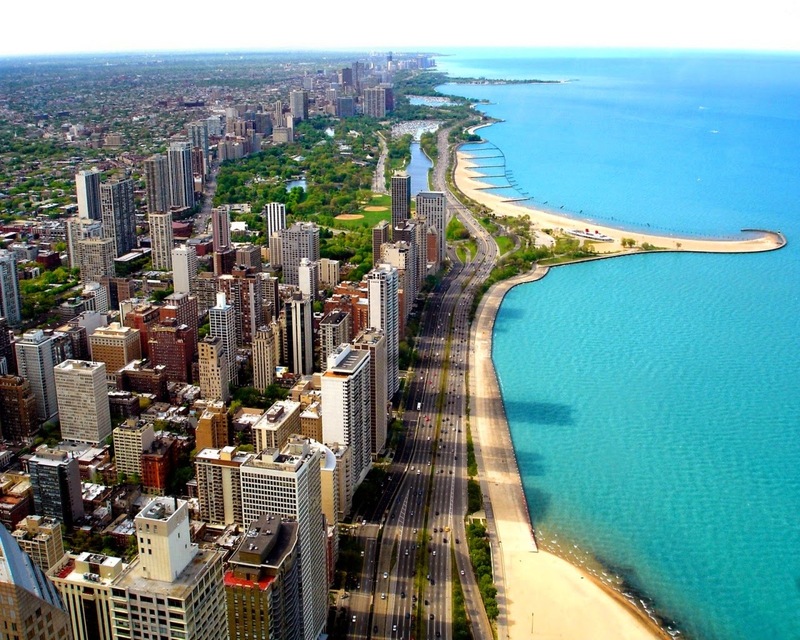 Miami is full of summer activities for residents and visitors to enjoy. For those of us who live here, it is so easy to get caught up in our day to day lives that we can forget about all that this unbelievably beautiful area offers so much to do. So step back and remember that we are very fortunate to live here. Take advantage of it and get out there this summer!